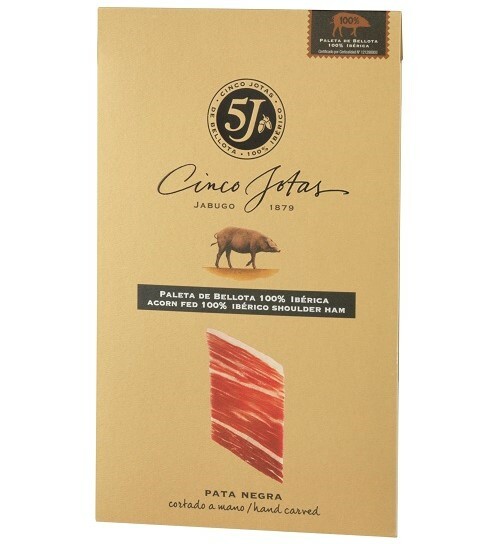 In this Spanish gourmet gift box we offer a unique experience with one of Spain's greatest inventions, pure jamón ibérico de bellota (Iberian acorn-fed ham), cured and hand-sliced by Cinco Jotas (5J), a prestigious leading name in premium Iberian food products. 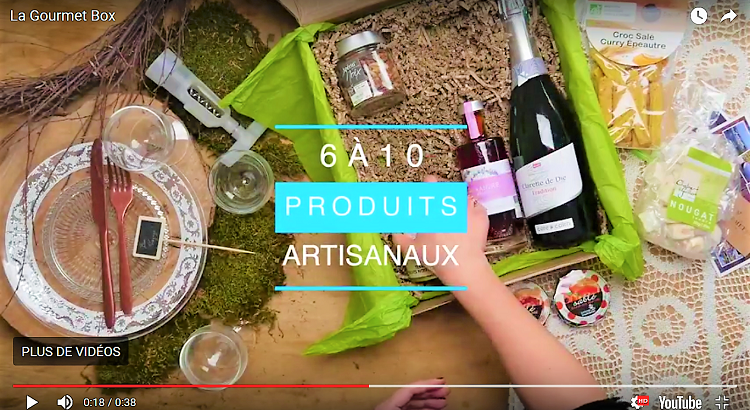 More than a gourmet gift box, it's an invitation to travel through Spain to discover and enjoy farmhouse products that represent the very best of its gastronomy. For those who love Spain and its gastronomy, and of course the unique Pata Negra de Bellota in all its forms, this is the food gift box set to offer or treat yourself! Delivered in the UK in 2 to 3 days maximum and in 1 to 3 days in most European countries. This Spanish gourmet gift box is an irresistible invitation to explore Iberia's open woodlands and savour the best of Spanish cuisine. 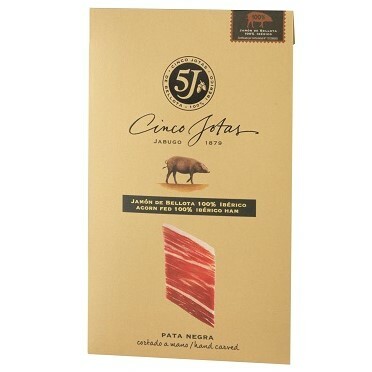 More than that, it's a parcel of gourmet delights where the centrepiece is the iconic Cinco Jotas brand of 100% Iberian jamón de bellota (acorn-fed cured ham), Spain's tastiest ambassador, which transcends all borders and language barriers. Surprise your palate with this delicious array of Iberian flavours and experience the best, most authentic jamón de pata negra (the pata negra or "black hoof" is a sign of premium quality on cured legs of ham). Everything you need for a grand evening of premium hors d'oeuvres in a single gourmet gift box! Our wine tour of Spain's exclusive Qualified Designation of Origin continues with a visit to La Rioja and the splendid wines of Bodegas Tobía. The 2014 vintage was a complicated year with weather in the Rioja. However, the quality of the grapes was excellent, and the Tobía Reserva rose to the occasion. The best Tempranillo grapes from three vineyards in the Upper Rioja were used in this wine, and the unique characteristics of each vineyard give this splendid red a richly nuanced flavour. 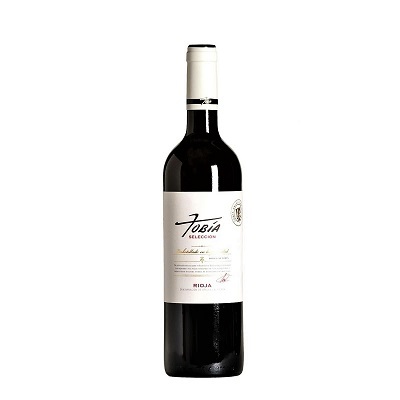 To bring out the best in this 100% Rioja wine, a small percentage of Graciano from younger stock was added. This 2014 Rioja Reserva is aged for 24 months in barrels made of French and Hungarian oak. After being allowed to stabilise naturally, the wine is bottled unfiltered and left to complete the ageing process on the winery shelves. The bouquet is a symphony of aromas, beginning with dark ripe fruit like raisins, cherries and cranberries. These are followed by spicy notes of black pepper, clove and cinnamon, which yield to hints of aromatic herbs such as mint and finish with delicate notes of oak, cedar, unsweetened chocolate and tobacco leaves. Serving suggestions: we recommend serving it at a temperature of between 16°C and 18°C. Master ham maker: Cinco Jotas (5J). Description: the finest 100% Iberian acorn-fed cured ham, hand-sliced by one of the master ham cutters at 5J. 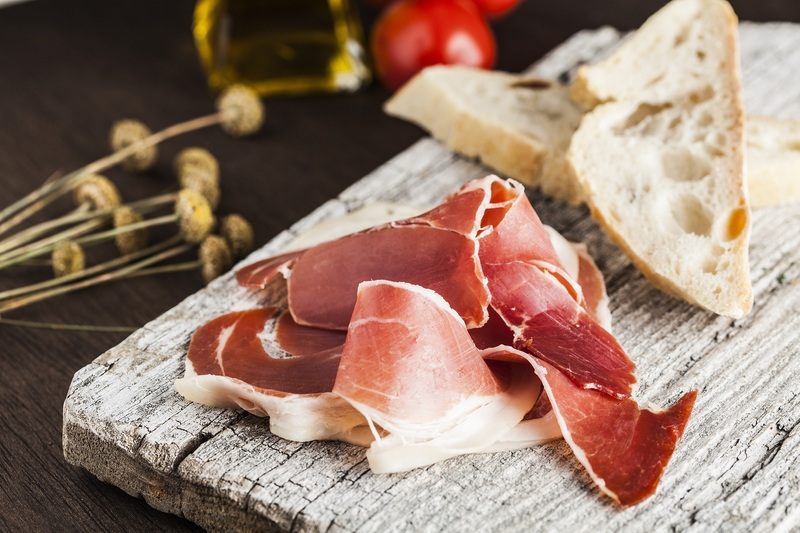 This ham is made from the hind legs of purebred Iberian pigs, raised in freedom on the open woodlands of southwest Spain with an acorn-based diet. The texture is smooth, juicy, buttery and so tender it practically falls apart in your hands. 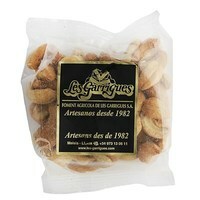 Aroma: long, intense flavour with hints of acorn, toasted hazelnut, wet wood and wildflowers. Serving suggestions: it should be eaten at room temperature, never cold (between 18°C and 23°C). We recommend opening the package 20 minutes beforehand, giving the ham time to recover all of its gustatory properties. Refrigerate once opened. DO NOT freeze. Description: 100% Iberian acorn-fed cured foreleg ham, hand-sliced by one of the master ham cutters at 5J. This ham is made from the forelegs of purebred Iberian pigs, raised in freedom on an acorn-based diet. The palate of exquisite aromas and flavours lends this meat a truly unique quality. Serving suggestions: to appreciate the full texture, aroma and flavour of this ham, it should be eaten at room temperature, never cold (between 18°C and 23°C). We recommend opening the package 20 minutes beforehand, giving the ham time to recover all of its gustatory and olfactory properties. Refrigerate once opened. DO NOT freeze. 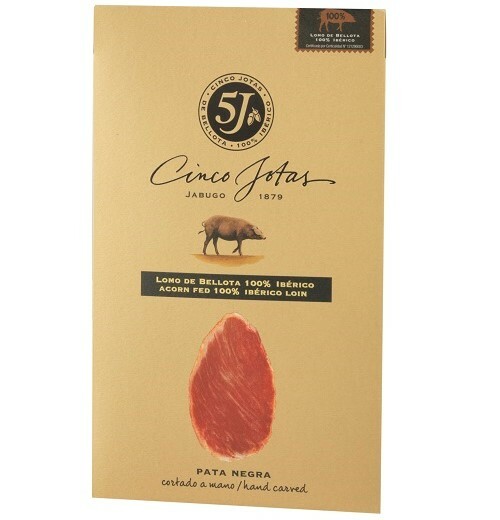 Description: hand-sliced by a master cutter at 5J from a piece of 100% Iberian caña de lomo (cured pork loin log). 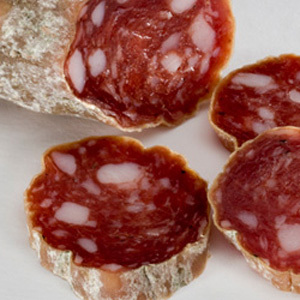 Caña de lomo is a premium cured sausage known for its powerful, fragrant aroma, mottled maroon and ash-grey colour, unique glossy texture and smooth taste of paprika with a hint of smokiness. Serving suggestions: to appreciate the full texture, aroma and flavour of this product, it should be eaten at room temperature, never cold (between 18°C and 23°C). We recommend opening the package 20 minutes beforehand. Refrigerate once opened. DO NOT freeze. Description: This Iberian acorn-fed chorizo (chorizo ibérico de bellota) is a gourmet sausage made from the choicest cuts of our artisan’s Iberian pigs (of the prized pata negra or black-hoof variety), which range freely across the sparsely wooded fields of Extremadura and feed on holm oak acorns. The meat is seasoned with paprika, salt and other spices, packed in a natural sausage casing and aged for 2 months. Our Iberian chorizo is so tender it literally melts in your mouth! 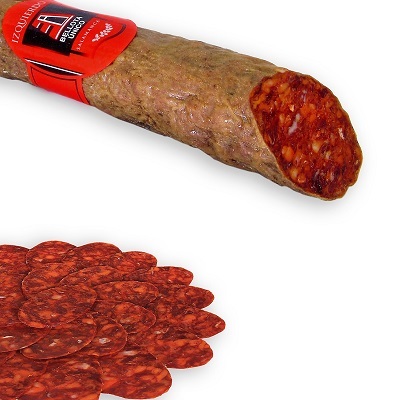 Serving suggestions: to appreciate the full texture, aroma and flavour of this premium chorizo, it should be eaten at room temperature, never cold (between 18°C and 23°C). We recommend opening the package 20 minutes beforehand. Refrigerate once opened. DO NOT freeze. Delicatessen: CASA RIERA ORDEIX, whose Vic salchichón and fuet sausages each received a Coq d'Or Award from the prestigious French culinary guidebook Le Guide des Gourmands as the best European food products of 2015. Description: a sausage noted for its texture and flavour. The natural drying process gives it an inimitable bouquet. Bright red in colour, this all-natural product is made with shoulder and belly pork, sea salt, black pepper and intestine casing. Serving suggestions: we recommend serving it in thin slices as an appetizer or snack. As it is vacuum-packed, we also recommend letting it breathe for 24 hours before serving to achieve the right colour, consistency and appearance. Once the vacuum seal is broken, remove the product from the bag. Store between 2°C and 7°C. 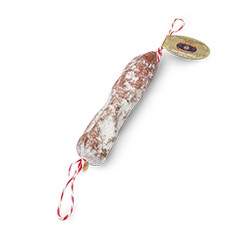 Description: made from select cuts of meat and pork lard, seasoned with salt, and spices, and stuffed in an all-natural casing, this cured sausage typical of Catalonia has an aroma and flavour that makes it the perfect snack or sandwich meat. Serving suggestions: we recommend cutting it into thin, bite-sized slices and serving at room temperature. Once cut, the sausage can be refrigerated to keep it from hardening. Description: these toasted, salted almonds are made from all-natural products with no preservatives: locally-grown almonds, extra virgin olive oil, salt and nothing else. . Once you try one, you won't be able to stop, especially when you've got the munchies! Description: In Spain, no gourmet snack spread is complete without a bowl of olives! 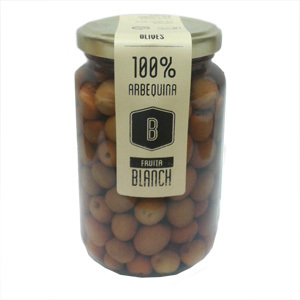 We chose these Arbequina olives, one of the smallest, most exquisite varieties, because they are preserved using traditional manual techniques that maintain their intense flavour and natural properties: olives, water, salt, aromatic herbs and nothing else. Serving suggestions: the olives are ready to eat as is and do not require refrigeration, although they should be kept in the fridge once open. This box contains everything you need to enjoy a first-rate snack in true Spanish style. 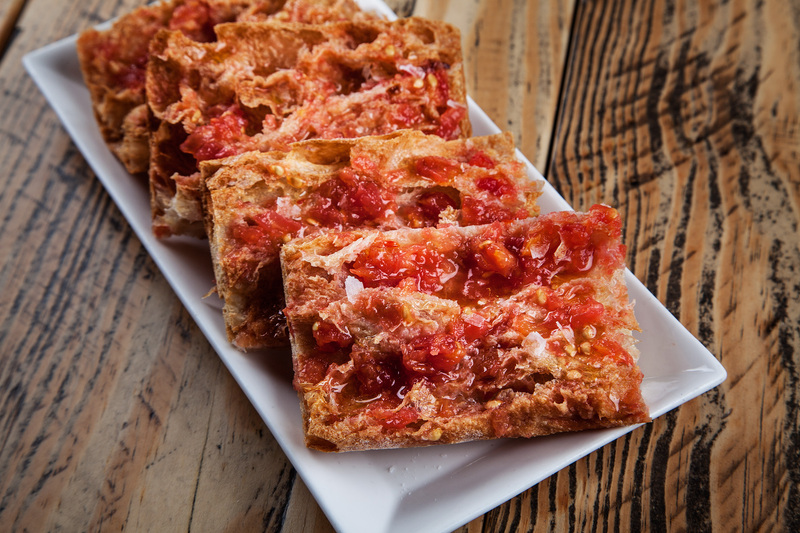 And no Spanish snack spread would be complete without pa amb tomàquet, one of the simplest yet most popular and delectable morsels served in Catalonia. To prepare it, just cut some slices off a country loaf, toast them and spread the Rosara brand natural tomato purée on top. 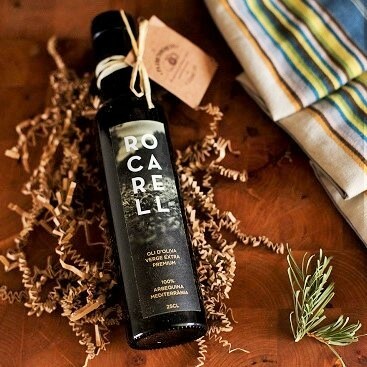 Add a generous drizzle of extra virgin olive oil by Set D'Oli and a dash of pepper and salt. It's that easy! 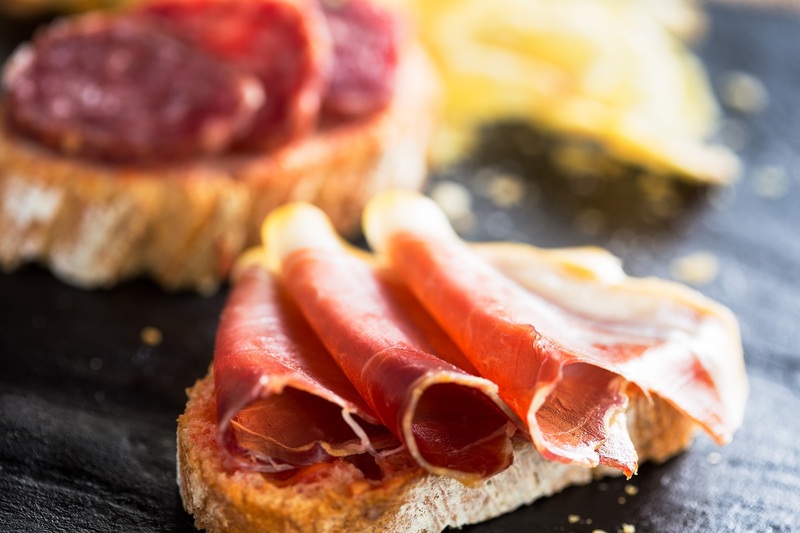 This simple, savoury snack tastes even more delicious if you top it with a slice of the best Iberian cured ham.